Dear readers, I presume that you have appreciated anecdotes and pictures of my yatra which was undertaken so far, but this post does not have any discussion and photos of Kailash Mansarovar as the topic that I have picked up this time demands a different approach altogether. The post is lengthy and voluminous and has been divided in two parts. Those of you who have just arrived please read the previous post- How to increase the level of your consciousness-III for the definition of Super Consciousness. I hope you liked reading the previous articles and they must have given you new insights and intuition as much as they have given me. I would like to inform you that the journey that I have undertaken along with Shri Mahavatar Babaji and you on this blog is becoming very, very interesting at this juncture. There is a tinge of thrill, immense exhilaration and joy as I get exposure to new mystic revelations with each passing day as we proceed to higher and higher steps of our ascent. At this intersection, I am eager to share with you a very fascinating episode that took place with me freshly on a trip to Delhi. This post is unique and very different in presentation in the sense that we also have a story teller in the end of this episode. The storyteller is a Banyan Tree and the protagonist is one grand Master, a Himalayan Yogi. The article has become lengthy as I had to weave my many present and past spiritual experiences and knit them together, churn and then conclude the eternal knowledge that is underlying and flowing silently in these experiences. This and the latter posts can be summarized into one theme – that of Super Consciousness and you can break this post into many parts and treat each event, story or experience as a whole. The topic is complex but can be made simple by breaking it into many small simple concepts and once when everything is understood and absorbed, the main concept can be understood in entirety. There will be three parts on Super Consciousness and the complete picture will come alive after all three are presented to you in a row. So we begin with a very simple story which will lead us to a grave and pensive knowledge in the end. The post is narrative in nature and my attention has been on its crux and gravity of the spiritual precept instead of my writing skills and lucidity. So kindly handle this post as is expected. Like before, every post is being revised by me even after it is published and as usual, I add some lines, words here and there to make it better and clearer for the convenience of every reader. So please read this post more than a few times. Hope you will be gratified and richer at the end of it just as I have become by composing it. 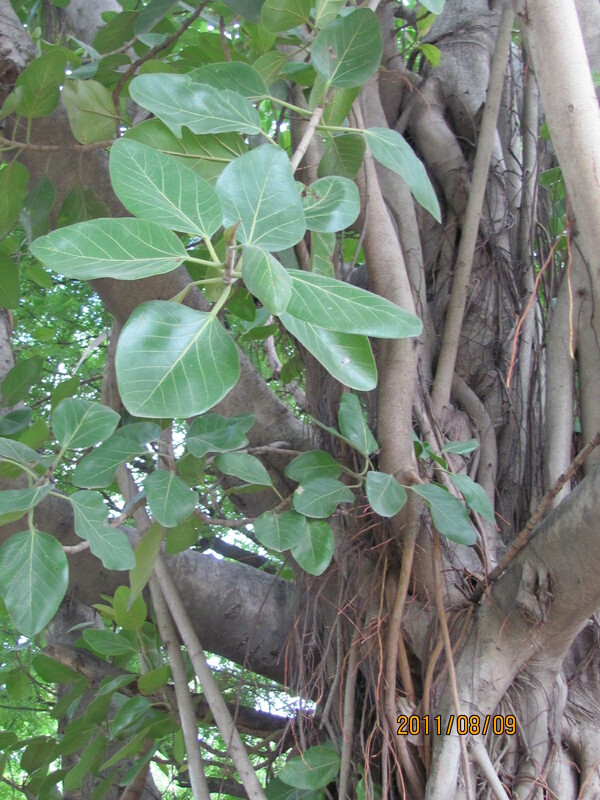 The Banyan tree is also called the spiritual tree, the Boddhi tree and is held sacred in India. It can live for hundreds of years and sometimes a thousand and above in rare cases. The tree is sacred because of the energy and power it emits. It has very saatvik, pure energy emanating out of it and therefore it is an ideal place to contemplate and meditate. The air it throws out is very pure and full of oxygen and the vibrations given are holy in nature. Out of so many Banyan trees some are unique and outstanding because of their special nature. You will soon discover what makes one Banyan Tree different from other, one sadhu or yogi different from another, how to derive optimum advantage from the great Masters, how to make very quick spiritual progress by utilizing their spiritual knowledge that they bestow on us and much, much more….. I was in Delhi for a week a few days back and I took some time off and visited Sri Aurobindo Ashram for meditation; and this time also for one interesting assignment. Since the past many weeks, I was looking for a real picture of a Banyan tree for the blog in case I ever needed it for future posts. I was not successful in my search in Mumbai. 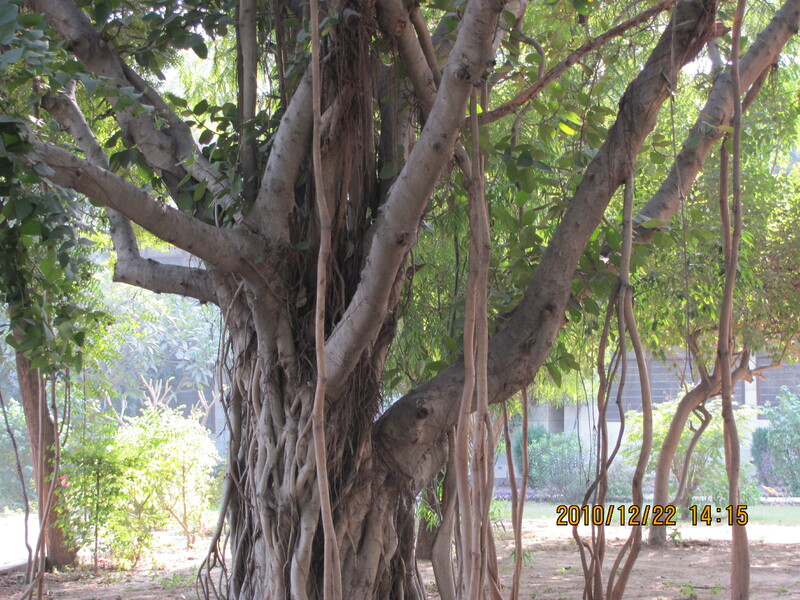 So I thought I will go the Ashram in Delhi and take a nice picture of a Banyan Tree. I took my camera and eventually managed to find the right type of tree in that area and I took a few good pictures. However, what I never dreamt in my life was that I would be so blessed to receive such rare and worthy insights in the occult and spiritual world and that too from a Banyan Tree!! By occult I mean the unseen forces in nature and not tamasic or dark forces. However, before I tell you more about it, let’s talk about the other associated aspect of this post- the Himalayan Yogis. The Himalayan Mountains are longest in range and height in the world. Not only are they longest, but they also have some rare species of flora and fauna which are about to be extinct now. In addition to this, what we do not know is that since the past ten thousand years or so, the Himalayas in India, Tibet and Nepal are the abode and haven of the sages, practicing yogis and sadhus or ascetics. Since the rest of the world is cut off from the cold and freezing Himalayas, it makes a perfect haven for the rishis and sages to do their tapas, spiritual practices of Yoga, to compose hymns and to write holy books and scriptures. The mountains are dotted with so many caves hidden from the sight of the people. The mystics in Tibet have specialized in occult, meditation and chanting. The caves are secreted for a good reason. Impurities of the people defile them and their intrusion is an obstruction in their attempts. The worldly thoughts of the people distract their mind from meditating upon God. They wish to remain pure like the incorruptible water of sacred river Ganga. The real yogis get happiness from the peace that they get from meditation and quietude of the mountains. They want to have a continuous link and communion with the Higher Consciousness. The Vedas, the Puranas, The Mahabharata, Sandhya Bhashya and so many other holy texts have originated and were written by the sages in the valleys, caves and abodes of these magnificent mountains. And many more noteworthy scriptures apart from what have been just mentioned above have also been composed in these mountains. Although the Himalayan sages do not have much physical contact with the external world, but they certainly radiate and transmit celestial vibrations and wave lengths of Super Consciousness in the environment far and wide. The spiritual and godly vibrations emitting from the minds of the realized yogis since time unknown make the Himalayas sacred and pious and hence they have acquired a special place amongst all the mountains. The whole atmosphere, the smell in the air and the trees have something very special about them. There are yogis who have achieved many great siddhis or supernatural powers many of them have become ageless, immortal and radiate rays of illumination reaching out several kilometers. Some of them are practicing and living yoga since the past few hundred years thereby purifying the whole region. They have been helping humanity in a silent way by spreading divine vibrations and also by diffusing rays of holy and spiritual thoughts thus making the Himalayas sacred and holy. So many times the answers and solutions that we receive in distress and genuine needs are not ours. They have been answered by them!! They know and understand that it is not possible for us to give up our modern life style and do not expect us to undergo hardships of tapasya to know the truth. But nevertheless, they help us at whatever level and stage we are by mentally transmitting thought waves in the atmosphere. Hence we find solutions, our confusion gets cleared and there is clarity of thought. Such holy souls are very selfless in nature and are always helping mankind and this is their service to God. Mahavatar Babaji is one such outstanding holy incarnation. He is meditating and living with a group of a few trusted and very advanced yogis in the secret caves of Himalayas living for just one purpose- to help mankind and the human race as a whole to evolve in Spirit. And also to make this planet more peaceful, worth living and to avoid any conflict between two or more nations. He is a living example for the world to see the full potential and possibilities of human development in Spirit. He is a Maha Purush because he has crossed all the limitations of maya or prakriti and has achieved immortality. He answers to so many people’s doubts, questions and curiosities without their even being aware of it. He helps innumerable aspirants on their journey of self realization and shows them their future path in direct and oblique ways. 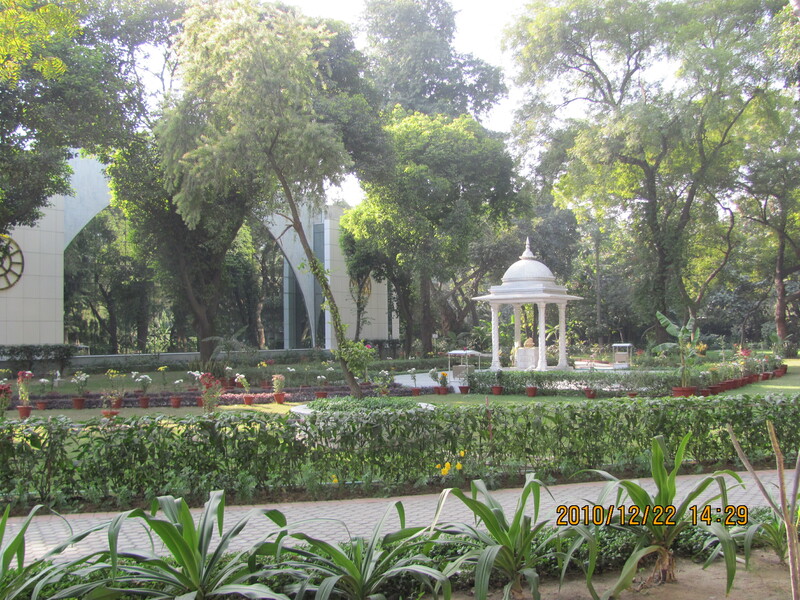 Sankalp Shakti -. This word is also used for determination many a times. Sankalp here means the rise of a thought, the power of thoughts. Every thought that is born is like a wave in an ocean, and has its magnetic power. It draws to itself positive or negative circumstances. The more positive our thoughts, the more power we possess and vice versa. Attention should be paid by us every time we think and to our quality of thoughts. We should discard the evil, bad and weak thoughts. In their place cultivate and nurture positive, constructive, creative, powerful and healthy thoughts. The yogis know about these hidden powers and they practice austerity, contemplation, read scriptures, do service or seva, give up all the vices to purify their being. No wonder their consciousness is cleaner, purer and superior than the masses. If one wishes to raise his consciousness, then first he must want it, he must have a desire. It should not be a fickle desire like the flame of a lamp on a stormy night but instead it must be a steady, unflickering flame. This is Ichcha Shakti. Once the desire or ichcha is ignited, the seeker must make his desire firm, discuss with the guru and the peer and then do a pratigya or make a pledge . Once the sankalp or determination has been done, then we must act on it. 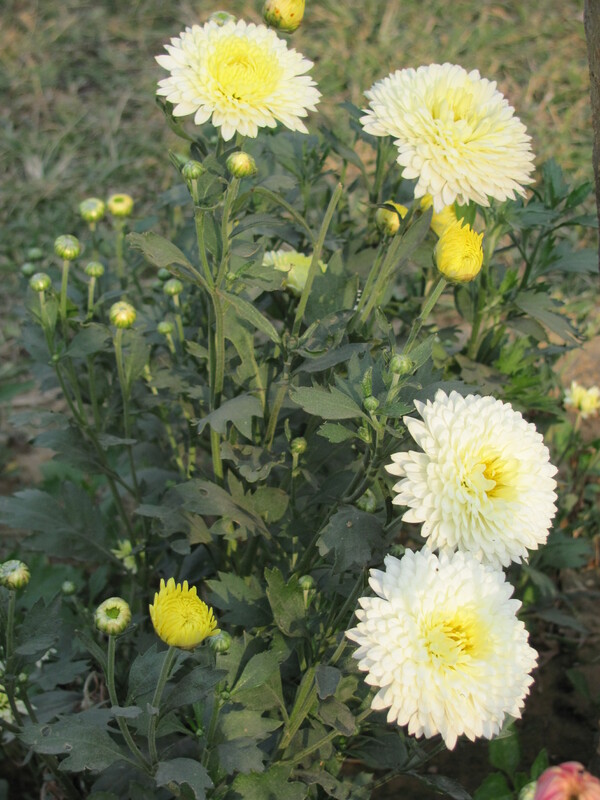 Kriya Shakti- Act with all your interest, cheerfulness and never ending interest. Take proper diet, and nutrition, sufficient sleep to stay healthy and to promote good health in order to be more productive and efficient to do the worldly duties and spiritual practices regularly. Exercise regularly and meditate fervently. Endure disturbance created by negative forces and make them your stepping stones. 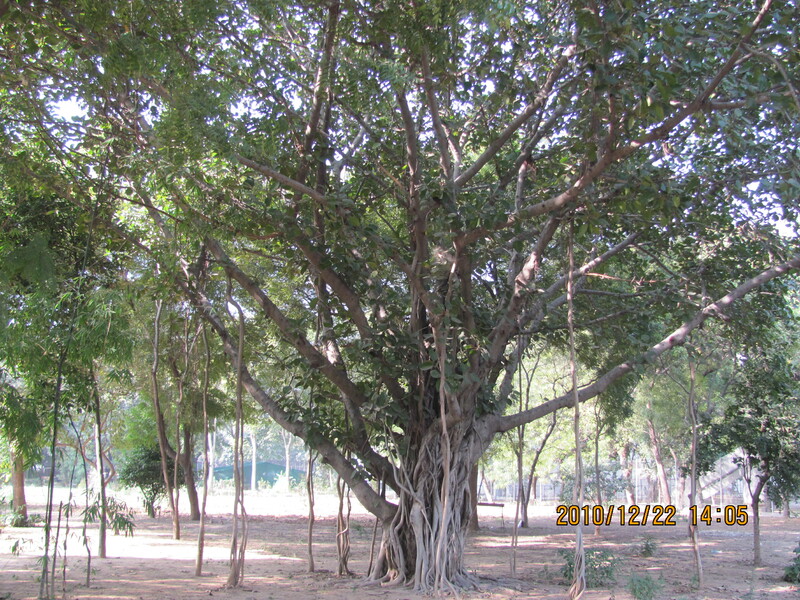 Now the story about the Banyan tree….. I was thankful to him after I got the summary of a great scripture from a maharishi. I was looking forward to go to the Ashram in the morning and spending a few hours there. I asked a few people if there is a Banyan tree in the complex and all they said was though there are a few, but they do not know the exact location. They tried to help me in looking for the spiritual tree but in vain. After my initial failed attempts and spending about one hour on it, I fell back upon my intuition and I walked back to the place where I remembered I once saw a Banyan tree many years ago. I reached a coppice and at last found a big Banyan tree hidden amongst the other commonly found trees. I was absolutely euphoric the moment I saw this tree and in a state of triumph, I dumped my bag and woollens on the dusty ground and got my camera readied. Looking at it, I got a feeling that no one must have spotted and cared for this special tree as there were other striking beautiful trees. I saw the tree carefully. It was huge, its canopy was large, the trunk was fairly wide but strangely the roots that were coming out of the tree were exceptionally thick. So old, strong and firm were the roots that there were tertiary roots coming out of the primary roots. I was a bit perplexed as I couldn’t assess the age of the tree because the roots seemed too old while the rest of the body looked much younger in comparison. The world consists of mostly unaware men. They come in this world, first they get attached to the fleeting world, they spread the roots of entanglement far and wide and then they get lost in the web of ‘maya’. They create a sansara, a world of their own, full of attachment without ever knowing the creator of this universe. While the gyani or yogi on the other hand, enters the world, looks for the seed, the creator of the universe, Purushshottam, the Divine Father by reading the scriptures, vedas, goes to a guru solves the puzzle called sansara and then creates a divine world for himself without getting caught in the decaying and fleeting world…..
No wonder the worldly man is compared to an inverted banyan tree in the first verse! I went home after I took these pictures and at night when everything fell silent after I lay in my bed, the Banyan Tree of the Ashram appeared before me quite unexpectedly and thus spoke to me. The conversation that took place between us is very mesmerizing and left me spellbound for the next few days. A spark was felt in my brain at this moment and I recalled this particular momentous event of mine. In Nov 2003, I attended a spiritual retreat of Yogoda Satsanga Society (YSS) in Ranchi. At 4.00 am, I had a very vivid vision. I saw a very huge Banyan tree which was shining and was made of gold. It had a very vast canopy and it covered a massive ground. There were innumerable thick roots falling from its branches and they touched and penetrated in the ground. The roots were so strong and firm that they looked like sturdy pillars on which the tree rested. The tree had very bright radiating golden rays of Light spreading outwardly in all directions. Shri Mahavatar Babaji was sitting under this tree and his body was made of golden light and it glowed very brilliantly. His head and back had a huge halo and I saw its rays of Golden Light reaching everywhere. His body was made up of stellar golden rays and He was sitting in a Lotus posture in a samadhi!! Though such moments are very short in duration, but they always leave an indelible mark. At that time I had no idea what was the significance of this experience and the future course of my spiritual path was shrouded in mystery. But on that night when the Banyan Tree reminded me of this specific incident, I saw a correlation. One more example was cited by the Banyan tree to me and that was this- In the late sixties, Auroville township was being developed by The Mother of Pondicherry. A very big banyan tree was about to be cut as the land was being cleared. It pleaded to The Mother in a subtle state before its fate had to be decided. That night the Mother saw this tree in a dream who pleaded not to be cut as it was his desire to continue living near the meditation hall which was about to be constructed soon. The Mother responded to his appeal and the following day, instructions were given to the concerned person and the wish of the tree was fulfilled. I have been to this site and seen the meditation hall and the extraordinary, beautiful, huge banyan tree and I also had the privilege to sit under it for some time in Dec, 2002. A great amount of energy and vitality was received by me by just sitting under its massive canopy. 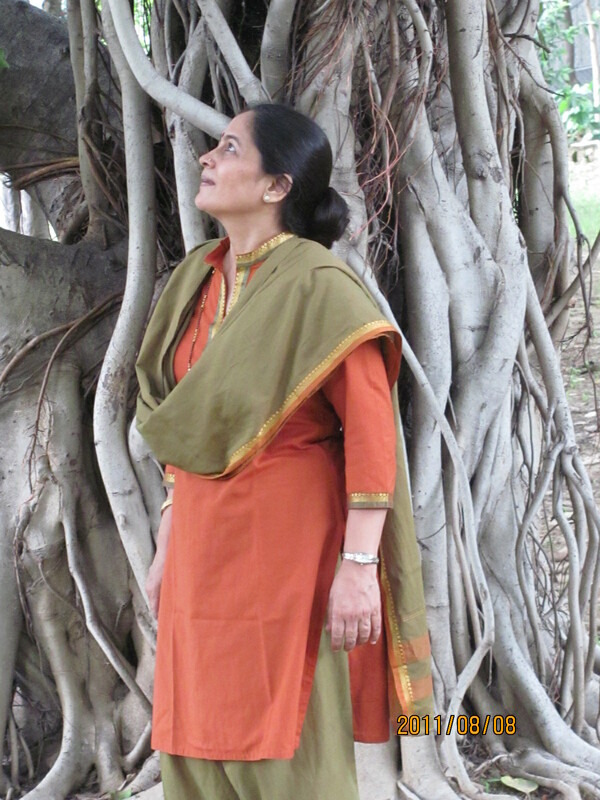 The Banyan Tree still continued filling me with abundant knowledge by telling me more. I was incredibly touched to have been chosen by this holy tree for spiritual enlightenment on an auspicious day like that one. I was elated and overwhelmed by this phase of enlightenment bestowed by the Banyan Tree and the following few days were full of fulfillment and tranquility. This entry was posted on Thursday, December 30th, 2010 at 10:51 pm and is filed under Uncategorized. You can follow any responses to this entry through the RSS 2.0 feed. You can leave a response, or trackback from your own site. Wowwww.. That Must to be very interesting.. TO know more about Babaji in the coming posts. Waiting to get to 10th of January. The above post is wonderful. Lots to know. Thanks for the detailed explanation and drawing parallels to the Banyan Tree and Mahavatar babaji which is so true. I am thrilled to go through this article and every word had a magnetic effect on my mind. Yes, this article is very enriching more so for mature and advancing seekers. Perhaps it must be the longest post that I have submitted but nonetheless it is vast and has many gems in it. Thanks for your response. Do you have a picture of the Banyan tree you saw in Katargama ? I tried to find through google search but couldn’t. 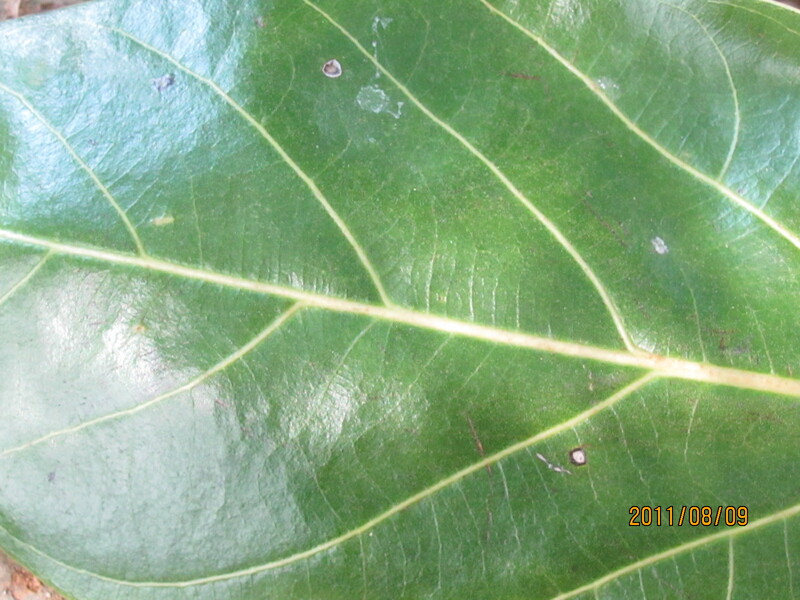 I also bowed down to the Banyan tree in this blog and mentally offered it roses and lit a lamp in front of it. ” The world consists of mostly unaware men. They come in this world, first they get attached to the fleeting world, they spread the roots of entanglement far and wide and then they get lost in the web of ‘maya’. They create a sansara, a world of their own, full of attachment without ever knowing the creator of this universe. Dear Shahid, Yesterday evening I was telling you mentally that our Babaji is the old Banyan Tree, so ancient, so strong and so reliable while most of modern gurus are the seasonal flowers and you chose to read the same very article. It was God’s wish that you know all that I was conveying you mentally and you got directed towards it. Therefore I do not have to tell you more about my purpose of informing you regarding something important that I felt you should know. Photography was prohibited in Katargama temple and I could not take any. I also yearn to see it again because the tree was very, very extraordinary. It had so much energy releasing out of it that I felt it is so easy to meditate here.The vibes were very holy and powerful. Never seen something like this before! And to reveal more, let me inform you that it is the same Banyan Tree under which Shri Mahavatar Babaji sat motionless for days and months in intense tapasya when he was a young boy. It is the same spot where Shri Murugan Swami and Agastya Maharishi appeared before him and gave Babaji the highest Sudarshan Kriya. We people do not know about this today because Sri Lanka is a Buddhist country and this tree in Katargama has a Murugan temple and a Stupa besides it now. The Buddhists come here and meditate under the tree oblivious to its past history. What was so liked by you is actually the explanation of verse 1 of Chapter 15 of Bhagwad Geeta which is very tricky. my mind filled with thw words written in this post, it is completely completely great, cant express. thanks to babaji for guidance, guru guide me to here. your effort of writing this post ends with a awesome result in the readers mind, and i would like to convey it now. thanks for your efforts sarika ji. and the place where the banyan tree also looks very calm and energized place. ” If one wishes to raise his consciousness, then first he must want it, he must have a desire. It should not be a fickle desire like the flame of a lamp on a stormy night but instead it must be a steady, unflickering flame. This is Ichcha Shakti. Kriya Shakti- Act with all your interest, cheerfulness and never ending interest. Take proper diet, and nutrition, sufficient sleep to stay healthy and to promote good health in order to be more productive and efficient to do the worldly duties and spiritual practices regularly. Exercise regularly and meditate fervently. Thank you dear mom you have even made a video of this holy tree for all of us.